Measure out 6 cups of rice krispies and put them into a big bowl. Mix sugar and corn syrup together in a microwaveable bowl. Microwave for 1-2 min, just until it starts to bubble. Add peanut butter and mix together. Pour wet mixture over the rice krispies and mix together until they're all coated. Pour milk chocolate and butterscotch chips into microwaveable bowl. Microwave for 30 seconds at a time, until they're all melted. Be careful not to over cook these, or they will get hard and won't be able to spread over your rice krispies! 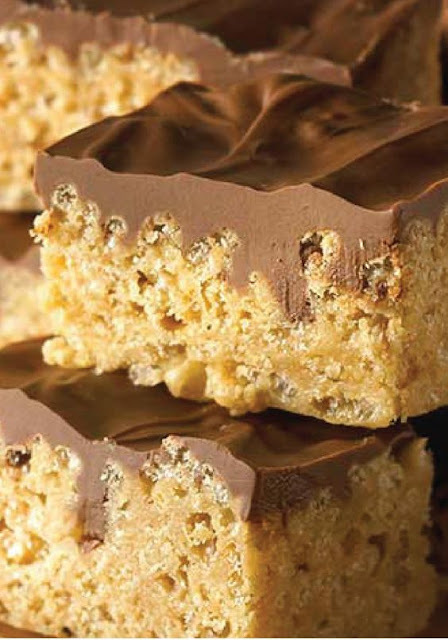 Pour melted chocolate over the rice krispies and spread evenly. Let set up for 1-2 hours! Cut and serve!